With over 30 years experience working with charities and not for profit organisations the truth is we have seen just about everything. That means that very often we can spot possible mistakes or problems before they arise. It also means you get a firm of specialists who know how to handle any unavoidable issues or complexities in a professional and timely manner. What’s more our team are highly approachable (call us to chat anytime, enthusiastic, professional and above all effective accountants. Harry a chartered accountant and chartered certified accountant founded the practice in the early 1980s in central London. Working on accounts preparation, auditing, tax and compliance services. Delivered to a range of commercial and charitable clients. Over this time Harry naturally started to take on more and more charity and not for profit clients. Generated almost exclusively from happy customers and delighted clients referring the firm. There are very few with Harry’s experience helping charities and not for profit clients with any area of their finance function. Harry Nicolaou & Co Limited are registered to carry out audit work. Whatever the economic climate, experience is one of the most powerful assets in business and as a Harry Nicolaou client you have access to ours whenever needed. With years of local and national experience coupled with modern 21st century technology solutions we have not just ‘been there’ but continue to pioneer new approaches to deliver increased value to clients. We can just measure the numbers… or you can use us to help actively change and improve them. By maintaining regular, meaningful contact with you, we are able to gain a deeper understanding of your charity and offer solutions to your charity problems, which add measurable value. 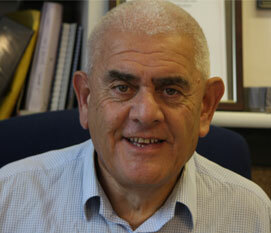 How can Harry Nicolaou help you? Harry Nicolaou have specialist experience working with and advising a wide range of charities, including those dealing with older people, children and young people, asylum seekers and people with mental health, drug and alcohol problems. Why not join us for a coffee and an informal chat? You can be certain that we complete the right forms and accounts, but you could get that from a hundred accountancy firms. What you won’t get is the unique package that every Harry Nicolaou customer receives. Clients benefit from far more than just number crunching – they form a relationship with people who will provide the right support precisely when it is needed.